A simple song chart is a great way to map out the chord changes in a song, even if you do not know or plan to sing the lyrics. 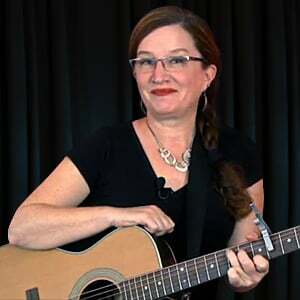 A song chart can be super helpful if you are learning to play the chord changes in a new song, or, if you want to quickly teach someone else how to play it with you. The song chart serves as a very simplified "shorthand" version of the musical notation of the song. It does not give you much in the way of information about how to play the timing or rhythm of the song; it assumes you already know that or can figure it out based on how the song sounds. The simple song chart tells you what chord to play, how long to play it for, and what chord to go to next. Also, it indicates which phrases in the song should be repeated.